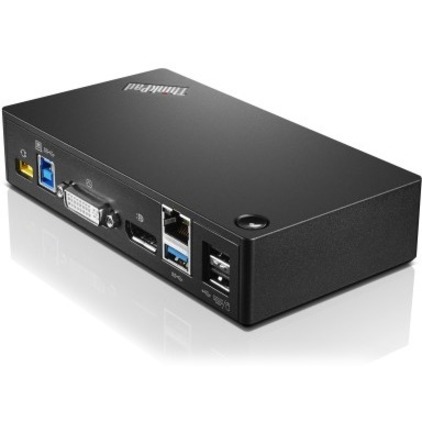 The ThinkPad USB 3.0 Pro Dock delivers a professional universal USB docking solution with fast USB 3.0 ports and digital video ports for quick and easy connection to all the workspace peripherals you use every day. Simply plug in a single USB 3.0 cable into your Lenovo PC for instant access to up to two external monitors, Gigabit Ethernet, headphones/speakers, USB printers, scanners, keyboard, mouse and so on for daily use. The Dock can also charge your mobile device via USB always power on port. Dock requires included AC power to operate.